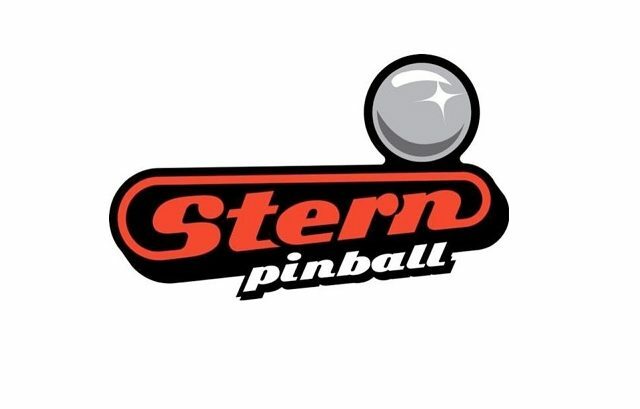 If you’ve been following Stern Pinball for the past few years, you’ve probably noticed that their playfield designs are becoming more and more familiar. Certain games use many recycled aspects from previous games with tweaks and improvements, and the latest announced game, Star Wars, is no exception. This is actually not new in pinball. During the EM days, designs were recycled and re-themed all the time with differences in scoring or the number of allowed players being the big difference between the games. For a good example of this, check out the El Dorado pedigree. 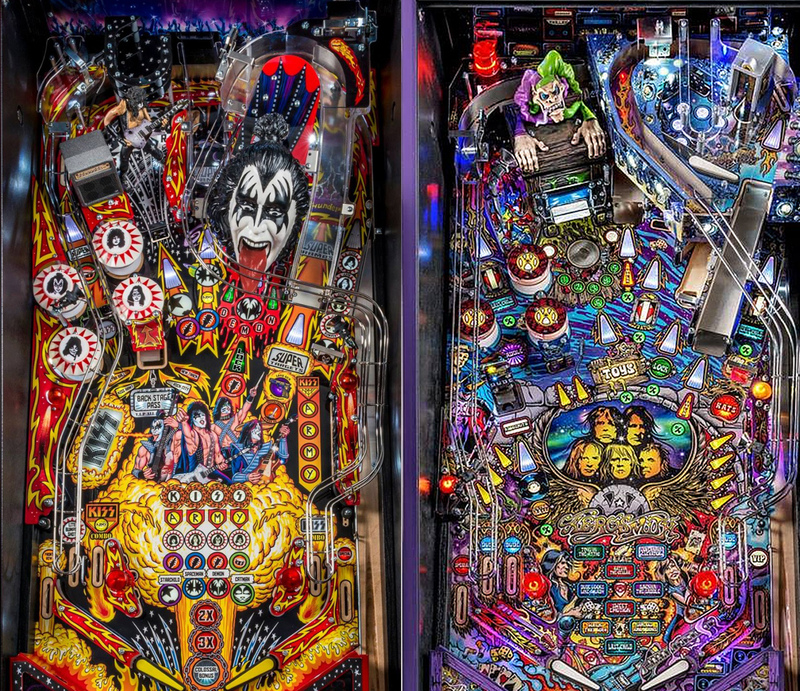 Comparison of John Borg’s KISS and Aerosmith pinball playfields. 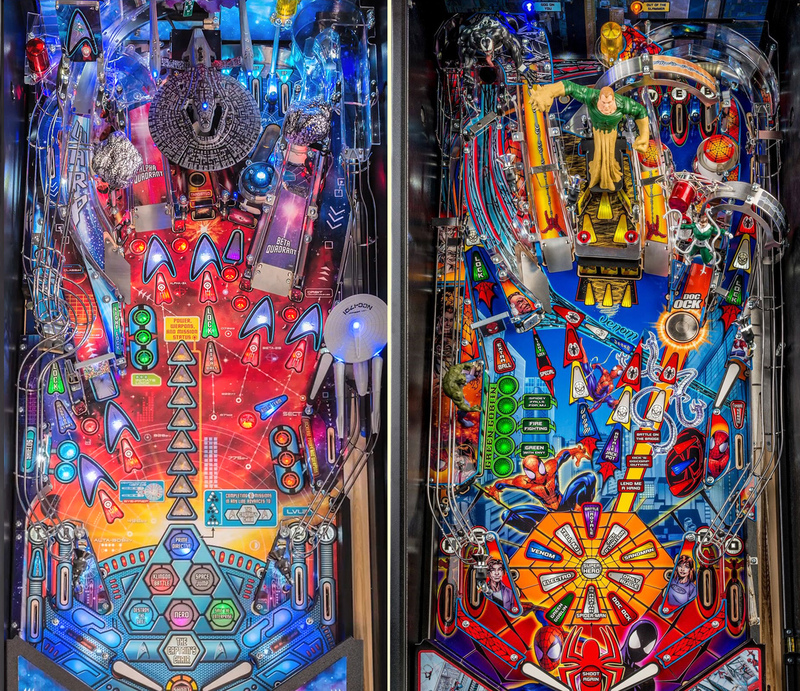 Comparison of Steve Ritchie’s Star Trek and Spider-Man pinball playfields. 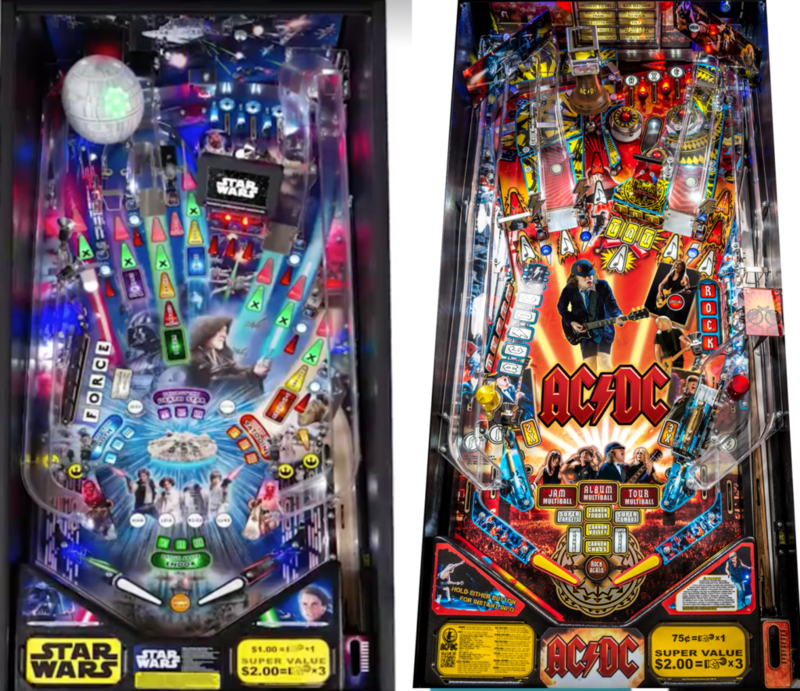 Comparison of Steve Ritchie’s Star Wars and AC/DC pinball playfields. As you can see, there are many common elements between the layouts in the games above, and they’re not the only ones coming out of Stern these days to do this. But here’s the catch: if you play Spider-Man and then immediately go and play Star Trek, it feels like quite a different experience, despite the very, very similar layout (it’s practically a recycle). The main difference between these games comes down to how the game code encourages you to play the game. Some games focus heavily on mode scoring, while others may be more about combos and multiball scoring. But is code differentiation enough? In most cases, I would say that similar playfields with very different code are enough to justify a new release and to draw quarter drops on location. In a home collection, however, I’ve found that when games are too similar, you do start running into problems. Having owned a Spider-Man for years, I was a strong Star Trek player from the start, despite limited access to one. I love playing Star Trek, but I wouldn’t ever put one in my collection as long as I had a Spider-Man. For very large collections, this isn’t such a big deal, but my space is limited to 15 games max, so having two games being very similar doesn’t quite work for me. Should We Expect More Recycled Designs? I think we’ll see more of this going forward with Stern, as long as they continue to employ the same designers and as long as they continue to seek ways to cut down on development and production costs. With Keith Elwin recently coming on at Stern, he’ll inject some new blood and will start coming up with totally unique designs, but the old guard will probably lean on the tropes they feel most comfortable using. But lately some of these designs have gone beyond common elements or tropes and are veering a lot more into the recycling with tweaks territory. It should be interesting to see how the pinball community continues to react to this practice over time. 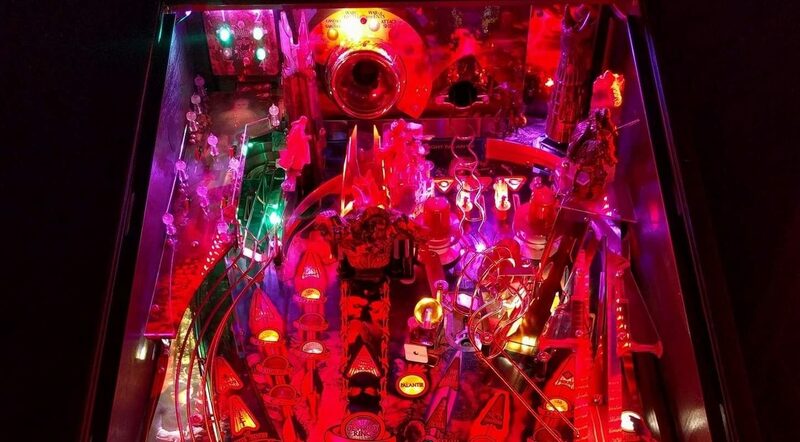 The rest of the current pinball manufacturers seem intent on offering very different playfield designs from game to game. While veering from familiarity comes with risk of layouts that just don’t work, you do get a whole new feel from game to game on a deeper level than just what the code is telling you to shoot for next. Comparing Heighway’s Full Throttle to the their Alien, you see massively different designs. Jersey Jack Pinball’s Wizard of Oz, The Hobbit, and Dialed In share almost no common elements. 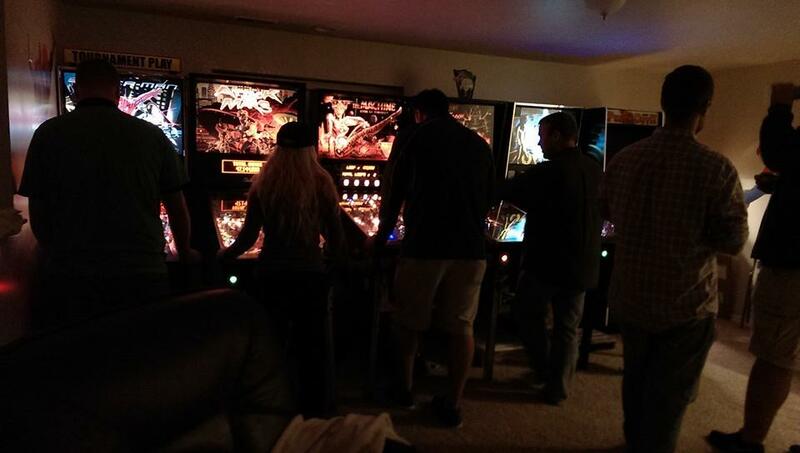 Spooky Pinball’s America’s Most Haunted, Rob Zombie, and Domino’s are also quite different from one another. But one thing to consider, building a design from scratch tends to make for longer development times. While Stern is putting out 3-4 new releases a year, the other manufacturers are each putting out an average of less than one machine every two years. I appreciate the rate at which Stern releases pinball machines and how quickly they ship their games after announcing them. But as I spend more time in the hobby and I have more opportunity to play, I am seeking more unique experiences. I am ok with not playing it safe and having a machine here and there that doesn’t quite work. I’m not a big fan of Rob Zombie or The Hobbit, to name some recent games, but I totally appreciate what they were going for and I’m glad that neither is just another two ramp/two orbit fan layout. For now, I still think Stern is putting out great games, but I’m starting to feel like they could really use a big injection of new ideas and some bold creativity. Reliance on code is a weak excuse to cut corners on designs. Updated code does not save poorly designed games, EVER. Enthusiasts praising singularity of code are forgetting the wonderfully designed games of the 80s with simple but solid rules (ie “the code”). EBD? Black Knight? Firepower? Eight Ball? Fathom? Centaur? Xenon? Vector? Paragon? You don’t need complex deep code to be “good”, you simply need “good code”. What this simply means is everything designed has to actually work correctly, not “sort of right”. Scoring, features, and modes no matter how simple or complex. There is a reason classics are classics, long after other games fade. People call old games code simple, but I can tell you that there are very few people on any forums that can decompile and rewrite code for any game from 1980-1999 and beyond. Right now modern games are not even shipping with complete “code” over 75% of the time anyway. So the Stern defense is even weaker.